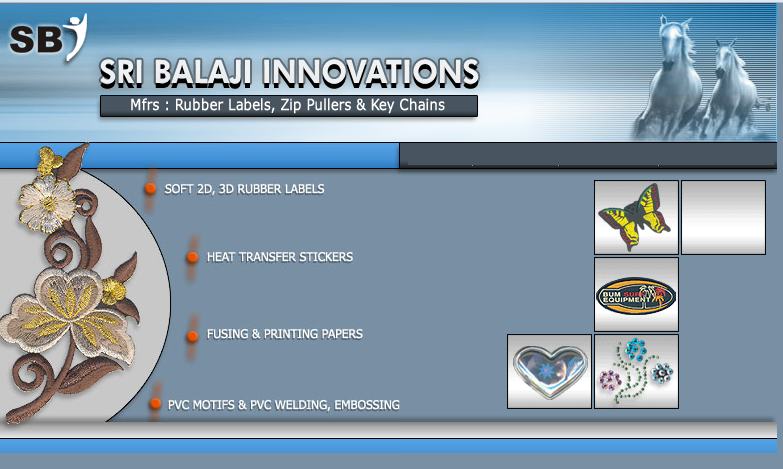 Balaji Innovations was promoted by Mr. K.R.Sivananthan and was established in the early 80's, mainly for the manufacture of most used Decorative garments accessories with in house facilities. 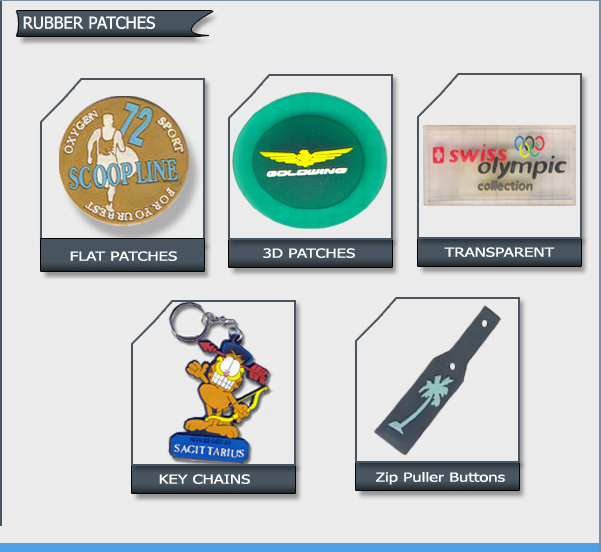 Special Features Balaji innovations use only improved materials for good Quality and standards. Production Capacity : 50,000 / day with immediate delivery. 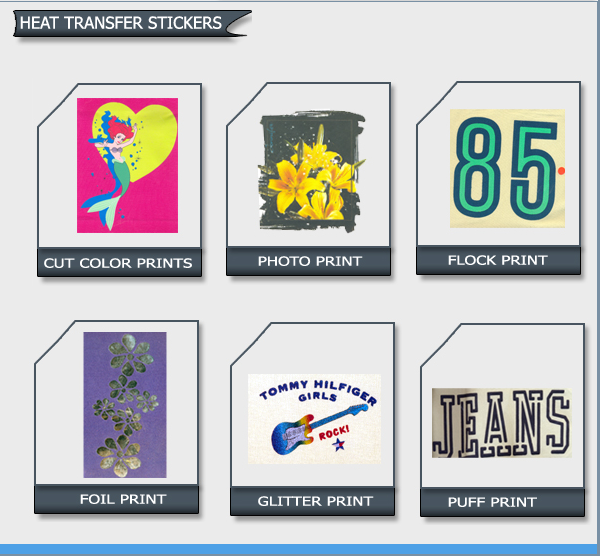 Manufacturer of HEAT TRANSFER STICKERS. 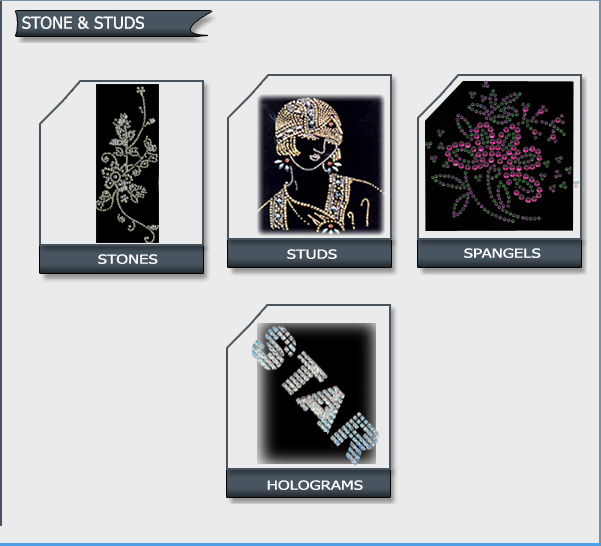 Manufacturer of Stickers with STONES, STUDS & ALL KINDS HOTFIX ITEMS. 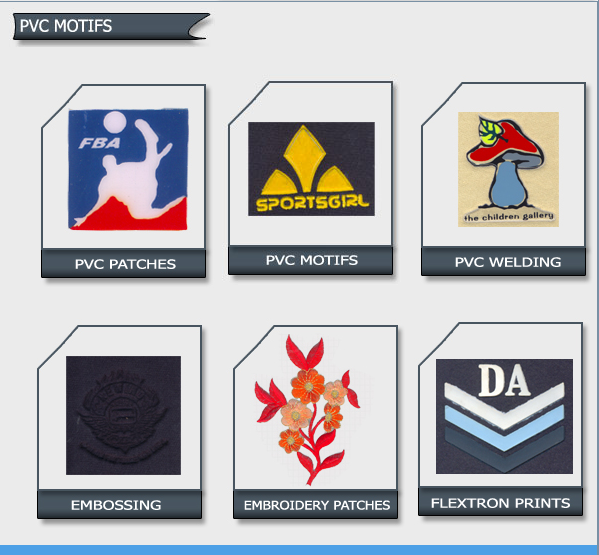 Manufacturer of PVC MOTIFS & PVC WELDING, EMBOSSING. Tirupur - 641 604. India.